In 2009, the American Recovery and Reinvestment Act (ARRA) was signed into law, including over $19 billion set aside for the implementation of EHR systems. Since health systems were given five years to actually have them in place, that means the era of big data in healthcare has been pretty short. Yet, there has still been a huge amount coming in the last few years, from a variety of sources. The rise in data has also coincided with another trend: the era of artificial intelligence and machine learning, technologies that are able to take all that data and make it into something actionable. One would not be useful without the other. KenSci is a company taking advantage of both those two trends; it's an AI and machine learning company that is creating a risk prediction platform for healthcare. On Thursday, the company announced that is closed $22 million in a Series B funding round led by Polaris Partners, with participation from existing investors viz. Ignition Partners, Osage Venture Partners and Mindset Ventures. UL Ventures also joined the round as a strategic investor. This latest round brings KenSci's total funding to $30.5 million. KenSci's product is geared toward accomplishing two goals, Samir Manjure, the company's co-founder and CEO, told me in an interview: saving costs and saving lives. "The idea is to look at various the kinds of healthcare data sources that are out there, like EMR, claims, social, as well as data coming from patients, ingesting all of it, transforming it, and providing insights that can then be integrated back into various workflows, mainly to save costs and lives. That, in a nutshell, is what KenSci does," he said. "If you think about healthcare, there is a lot of data that has been digitized in the last decade, especially since the 2008. What that has resulted in is tons of patient encounters as well as claims that are sitting in lots of data warehouses, which are segregated islands. What we do is we mine that data, we bring the various islands and silos in healthcare together to create insights for various kinds of purposes, either on costs opportunities or clinical islands. Those insights then are available to the various personas in the workflows to act upon." 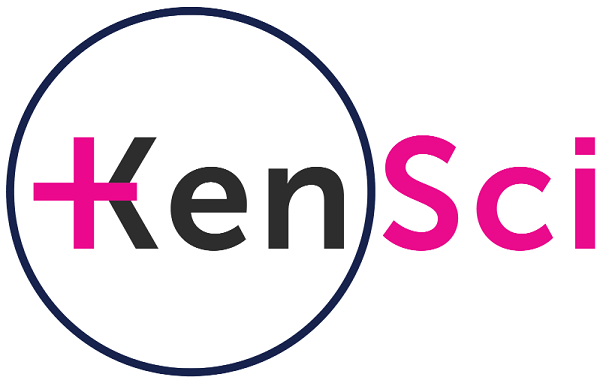 There are two main use cases for KenSci's customers, which are typically large healthcare systems. The first revolves about optimizing patient flow. "Healthcare systems are very overwhelmed by the demand. There are more patients than there are beds in the hospital, so one big problem that we solve is patient flow, optimizing the total of patients through the system. So you can see more patients, you can apply your resources towards the people who need it the most, and, overall improve outcomes and costs for the health systems," Manjure explained. The second use case is about helping health systems with optimizing for utilization. "Many health systems are entering into risk-based contracts. In the value-based systems, what happens is the healthcare providers take on risk with the payers. The name of the game is, can we identify the high risk beneficiaries before they become high risk? And then, can we do something proactively to prevent hospitalization or for them to the emergency room? We provide a cost and utilization to help them predict those high risk beneficiaries in a way that is actionable and when there could be intervention that could be applied up front that can result in optimized utilization." KenSci now has less than 100 health systems using its platform, which Manjure says can save them over $100 million, depending on the size of the organization. In 2018, the company was recognized as the winner of the Microsoft Health Innovation Awards for the best use of AI and ML. The new funding will be used, in part to, accelerate KenSci’s product roadmap. "Healthcare is a huge vertical, it’s 20 percent of our GDP, or almost approaching that. It’s a multi-trillion dollar space and we are just getting started. Our typical engagement is with large systems. We start by ingesting the data and solving for a couple of key use cases within the suites I mentioned, patient flow and utilization. What happens, typically, is once the data is ingested, you can actually solve for many other use cases. Some we can provide ourselves, others where we partner very closely with the health systems themselves, their IT departments, so they can build on top of our platform. What we are doing is really using these funds to accelerate the wealth and the depth of the platform so that our customers, who are the health systems, can build solutions on top of our platform, using the same Lego blocks that we have used to build our application," said Manjure. For example, some of those use cases can be to do disease progression models on high risk cohorts, understanding how a particular disease is going to progress for a certain sector of patients. The funding will also go toward global expansion. In addition to the U.S., the company is already in Singapore and the U.K., and will continue to expand within the APAC and European markets, specifically in Australia, New Zealand the Nordics. The competition for KenSci are the legacy players in the industry, such as IBM and Optum, the difference being that KenSci was a cloud and AI company from day one. "They have built some great legacy systems that ingest data and do mostly business intelligence on top of it. Our differentiator is we are born in the cloud and we are an ML and AI company. Everything that we do has a predictive flavor to it and the idea that, if you can predict, you can potentially prevent. Operationalizing machine learning and AI is a big task in this kind of vertical, and our secret sauce has really how do you take an end to end business problem and really operationalize it with machine learning and AI? It’s not so much about the math and the science behind it, but it’s about how do you make it applied?" Manjure told me. "We even talk about AI not as artificial intelligence but assistive intelligence and applied intelligence. The idea, if you can apply it, and make it operational, and provide the ROI, only then it makes sense. A lot of large companies, like IBM and others, are struggling to get this operational. Our fight is really against those larger players and capture a large chunk of the market over time." That idea about AI being something to assist the doctor, not replace them, is a major part of the company's DNA, he stressed. "We absolutely believe that the technology to assist the physicians and doctors; we are not here to replace them. The doctors spend a lot of time understanding what is the right thing to do for the given patient, and we are here to just to supplement that understanding. That is why we talk about AI as assisting intelligence and not artificial intelligence. We are a big believer in that and everything that we do is to enhance and to assist the well-known humans in the loop, rather than trying to replace them. That has been the genesis of the company and it permeates every single operating fabric of the company." Ultimately, KenSci's mission is not just to be a big company but one that does good for the world. "Success to me is really is we can create a long-lasting, enduring company, which is a good company that can create social impact, help society at large, that is success to me. With that will come everything else around making a big outcome, making it a big company, etc. At the forefront is the mission that we started with, and it’s about how can we use machine learning and AI to really impact healthcare and create that social impact, which is very much needed," Manjure said. "Social impact is really about right care for the right folks at the right time. If we can do that, what that means is that it will result into better patient outcomes, betterment of health across society, and not just for patients themselves, but patients and their families who get the benefit."